Welcome to www.BuyElevators.com. We invite you to browse through our store and shop with confidence. We invite you to create an account with us if you like, or shop as a guest. Either way, your shopping cart will be active until you leave the store. (ADA Emergency phones, Smart Line Sharing Device LSD-2, LC-6 Connects up to (6) emergency phones, Door Detectors, First-Flexible light curtains, Signal Fixtures, Car Operating Panels COP, Hall Fixtures HOP, VVVF Door Operators, Linear Door Operators, Elevator Controllers, Position Indicators, Lanterns, Push Buttons, Universal Boards, Hall Network Boards, Security Access RFID, Traction Machines, Guided Rails, Limits, Finals, Gate Switches, Electric Eyes, Leveling sensors, FEO-K1 keys , TFT LCD Color Displays Position indicators and much much more). 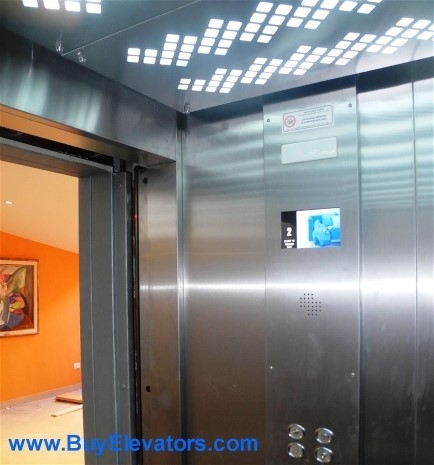 ***We are growing rapidly and are looking for highly motivated professionals to join our R&D elevator team. Positions are immediately available at Careers.